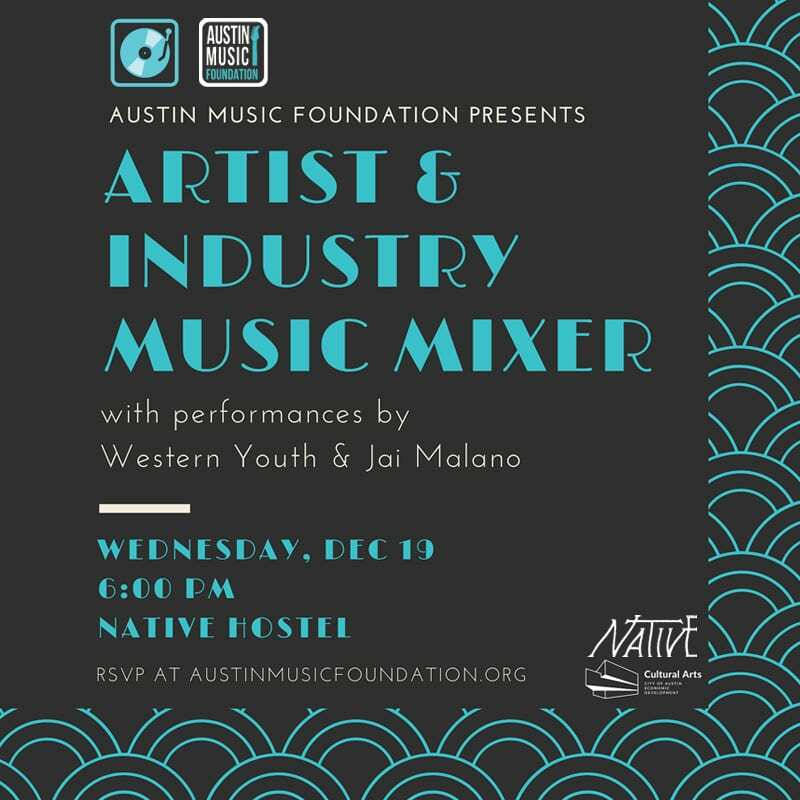 Meet us at Native Hostel for our final Artist & Industry Music Mixer of 2018! This networking happy hour kicks off at 6pm in the Parlor Room. Music begins at 8pm, with AMF Artist Development Program participants Western Youth, followed by Jai Malano with her full blues band at 9pm. We’re looking forward to getting our music community together for one last event before the end of the year. Please RSVP! Free & open to the public. This project is supported in part by the Cultural Arts Division of the City of Austin Economic Development Department.